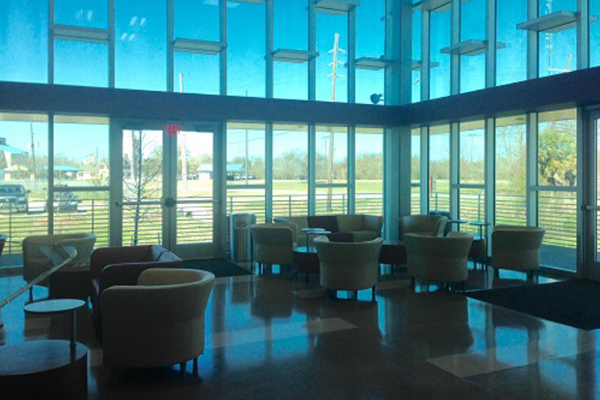 East Baton Rouge Parish School's Career and Technical Education Center (C-TEC) was recently opened in the Ardendale development adjacent to the BRCC Automotive Training Center. C-TEC is comprised of modular labs and classrooms that are flexible and can be easily changed to fit workforce needs of the Capital Area region. The large labs with garage doors, open ceiling, exposed building systems, oversized mechanical and data rooms, allows for the entire building to be a "systems lab" and a teaching tool for each student. Every space in the facility serves multiple functions, and offers High School juniors and seniors an opportunity to earn a traditional diploma at their high schools while also pursuing industry based certificates in Medicine, Construction, Manufacturing, and Internet Technologies. The 37,000 square foot facility was completed at a cost of $17,000,000. Celebrate the holidays at Swirl Wine Bar. A4LE members & guests are invited to enjoy light appetizers and wine. Please RSVP to tania@hahn-enterprises.com by December 8. The world in which our children live in and will move into is one that will continue to change. To effectively create as well as sustain change while building agile educational environments, we all must work differently. Every segment within the educational community from instruction and procurement to designers and students needs to deeply evaluate the space, as well as the tools within the space. If we truly desire change, we may no longer be able to rely on tried and proven concepts. In this shift, we need to first understand the “Why” of a specific community, comprehend the “Who,” and only then can we begin to create the “How” and “What” with all stakeholders. Begin to consider space, and most importantly the tools within learning environments, as an opportunity to rethink how we deliver professional development and “permit” teaching and learning. Be aware of examples of disruptive design techniques, and opportunities to acquire valuable information when constructing the next generation of facilities. Begin to consider creating multi-functional spaces. Spaces that permit flexibility, agility, as well as professional development resources and tools which support – not restrict – creativity and innovation. Begin to explore the utilization of simplicity in the baseline of all environments, increasing usefulness in the support of a multitude of teaching and learning styles. “Simplicity” equates to multi-functional. David has been recognized as one of the most important industry leaders in establishing solutions for the next generation of educational environments. He assists educational institutions and design professionals, supporting programming and professional development needs by delivering detailed, systematic conversations surrounding the disruptive innovation approach to design. Resulting environments demonstrate examples of 100% engagement and wonder, sustainability, and improved indoor air quality. Cultural Shift’s solutions can be seen in the installations of private schools in Punahou, Hawaii and the Khan Academy’s first brick and mortar facility, as well as numerous public and higher educational facilities throughout the world. David is truly passionate about the holistic design of all educational spaces and is developing research with university partnerships, creating MakerCulture solutions, and developing new educational tools from various market segments. 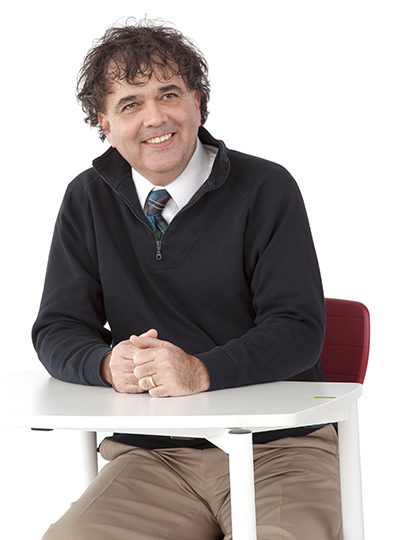 He continues to lead the educational community with valuable insight on how to bridge the gap between curriculum/instruction and the built environment – to truly create adaptable environments. Currently under construction near the Louisiana State Capitol, Park Elementary will be East Baton Rouge School's first primary school to be designed completely around the basis of 21st Century classroom and whole-school environments. Gary Gilbert of Coleman Partners Architects, LLC will provide insight into their guidelines that were used, their methodology of design, as well as details and the learning style model. 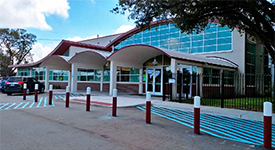 Comments by East Baton Rouge Schools leadership, CSRS/Tillage program management and some insight into the pedagogy of the facility/use of the spaces will make the presentation interesting for educators and education planners for schools as well! Join us for another building tour and dinner. We will be learning more about the Computer Science & Technology Building at Southeastern Louisiana University and wrapping up the tour with dinner, provided by Percy J. Matherne Contractor and the Association for Learning Environments. "It is the designer's belief that it is a requirement today to develop educational places that address 21st Century needs in an academic community-based environment. Such an environment should completely support and allow work, play, study, listening, responding, relaxing, and accomplishment through individualized work, group work, collaboration, and social interaction, using 21st Century technology." Please RSVP by Tuesday, April 24th; no charge for AIA and A4LE Members. 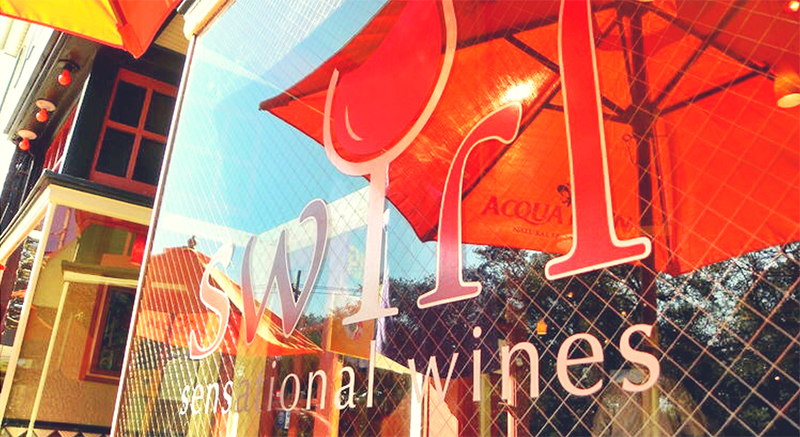 Celebrate the holidays at Swirl Wine Bar. A4LE members & guests are invited to enjoy light appetizers and wine. 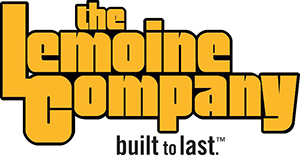 Sizeler Thompson Brown Architects & Lemoine Co. 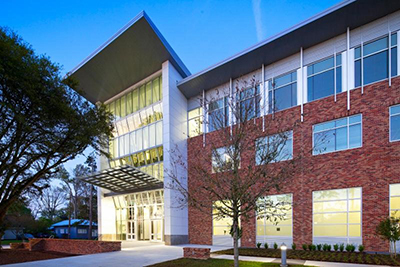 The new Delgado Maritime & Industrial Training Center was engineered to accommodate the needs of corporate clients, with a complete package for future growth. All classrooms have state-of-the-art presentation ENO boards for utilizing modern software applications. The second floor houses a Simulator Suite comprised of 3 interactive Full Mission Bridge simulators, with a simulation so realistic, it can actually make you seasick. Simulators are used for Wheelhouse Proficiency Management classes to provide scenarios on navigating waterways on different types of vessels. The Delgado Maritime & Industrial Training Center is a U. S. Coast Guard approved facility that provides industry based certification courses in a variety of Fire Fighting, Safety, Marine, and Radar Navigational courses. The main thrust of our business is Domestic Inland Waterways, Petrochemical, and Offshore Oil & Gas. All classrooms and labs are completely furnished with the finest leather chairs and tables, which contribute to a total adult learning experience. This new state- of-the-art building also has wi-fi installed throughout to allow for video streaming exercises in Virtual Reality Incident Command training. Old School gets New Life! The design team of GraceHebert Architects and associate architects DLR Group were tasked with creating a technology rich, flexible and adaptable school that supports project based learning. Therefore the design for Lee High School does not follow a traditional school layout. 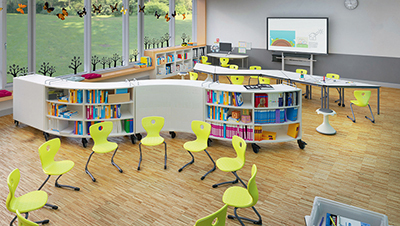 The school consists of flexible spaces that can be configured for a variety of uses. Visual connections in learning labs and specialized spaces give students a reason to become excited about learning. 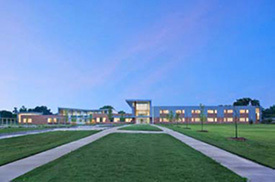 The school is designed around three specialized academies and a Commons Building. The specialized academies include Science, Technology, Engineering and Math (STEM), Bio-medical and Digital Arts. Students and staff at Lee High School will be able to collaborate throughout the facility, providing opportunities for interdisciplinary and cross-curriculum instruction. The facility is designed to promote real-life experiences, allowing students to apply what they learn in a classroom in a specialized laboratory within their academy. Sponsors receive signage at all events, formal recognition during the events, and recognition in event communication pieces. This month our program will consist of a presentation and tour of the new Main Campus Building on the campus of Fletcher Technical Community College. 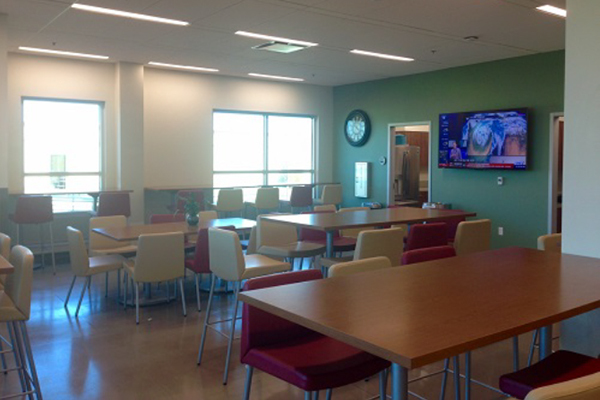 This project was a design-build effort for the LCTCS Facilities Corporation as a part of the Act 391 Program. Thompson Construction in Thibodaux, LA was the General Contractor and Duplantis Design Group, also in Thibodaux, was the Architect of Record. 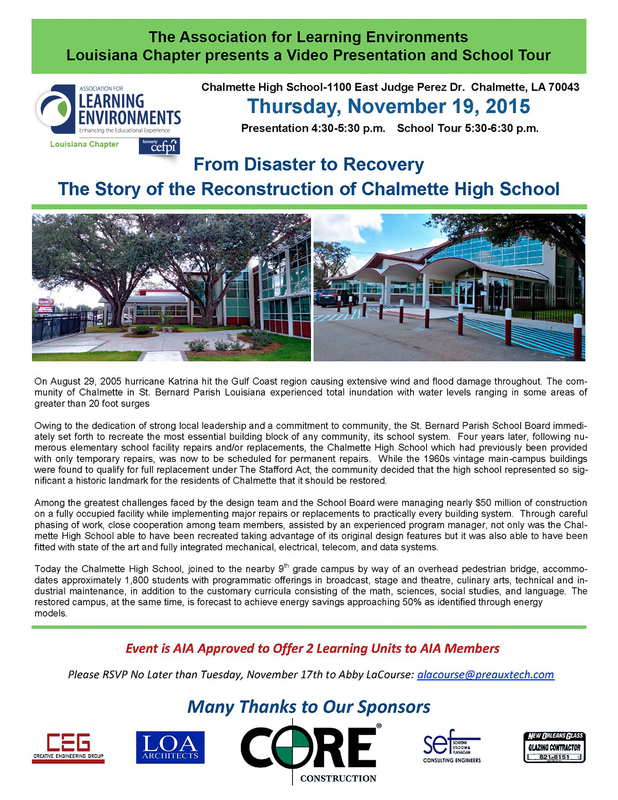 This month our program will consist of a presentation and tour of the new Progress Elementary School in Baton Rouge, Louisiana. 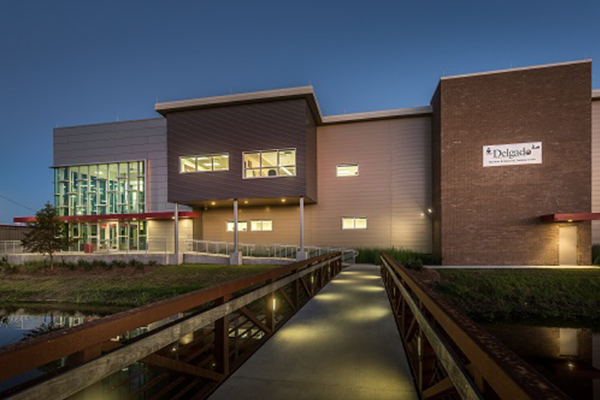 The school was designed by Remson Haley Herpin Architects to house 660 students and serve as a beacon of hope in a blighted neighborhood. AIA approval for 2.5 HSW/LU. You are invited to join us for a short presentation and Q&A session on the ever-increasing capabilities of Building Information Modeling (BIM) soft ware, and its benefits to the design and construction of educational facilities for architects, engineers, facility planners and managers, as well as the end users. Th e soft ware allows designers and builders to identify mechanical and structural clash detections and accurately price value engineering decisions. BIM also allows a better evaluation of constructability and project scheduling, which is especially beneficial to ensure that a new or renovated school will open on time! We will also present the capabilities and benefits of 3-Dimensional Laser Scanning and its ability to create accurate as-builts for existing schools and historical buildings, including a live demonstration! The event will be held at the office of CORE Construction Services in Metairie, followed by happy hour with cocktails & appetizers for all attendees from 5:00pm until 6:00pm. We have limited space available, so the event is only open to the first 50 people who sign up.